I started playing bass in 1975. Since that, I have played bass professionally for 40 years. My work has varied from jazz orchestras to dance halls, from live-TV to studio sessions. I have played for major Finnish artists, and my studio recordings have been awarded with several platinum and gold records. At present, I am involved in musical theatre orchestras. Having played on top-level for several decades, I have a profound understanding for making pro-level instruments. Welcome to my website. With any questions about quality basses or guitars, please feel free to contact me. Our goal is to create only great bass guitars and guitars. We rather do few truly good instruments than a dozen of OK ones. Years of knowledge and careful work guarantees high quality of our instruments. We understand that a great guitar or bass guitar is a combination of sound and looks. With both aspects in mind we make our instruments so that they sound and feel just like they should whether they represent the classical vintage era or modern demands of a professional player. 40 years as a professional bass guitar player has taught me a lot about demands for the instruments. That is one of the reasons I have produced my own instruments, and those for my clients, for decades now. Quality materials makes the difference. You don’t simply order wood and parts to build an instrument. You must go and see the materials and hand select the very best ones yourself. That is one of the reasons why our instruments sound and look so good. Did you know that all elements on a guitar or bass, reflect to the sound of the instrument? From the correct tools and techniques to even the right kind of varnish, all things must be taken in consideration when creating a great instrument. There is no cheating or ways to make things faster, it’s all about very careful craftmanship one instrument at a time. 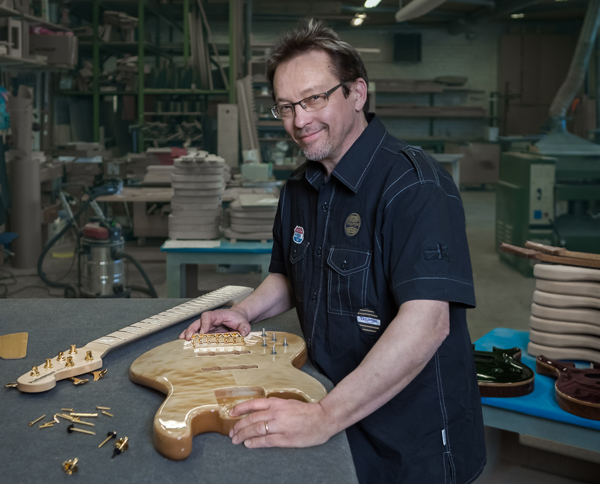 In more than 10 years of guitar and bass guitar building, we haven’t had a single complaint. We thrive to keep that record for years to come.